I CAN RECALL TWO THINGS ABOUT THE 8TH GRADE. 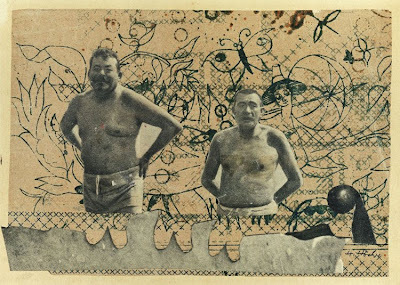 THE FIRST THING WAS MAKING COLLAGES from magazines in the first art class I ever took and the second, was the fight between Ray Sloan and Jeff Lewter in the hall right after 1st period. Ray was feared by all. He was about 17 or 18 years old (in a class with 13 and 14 year old’s) because he had been held back so many times. Tall and mean, I am quite sure he is in prison today or was shot dead in a cheap motel standoff with police. Jeff, on the other hand, was short, stocky and tough as nails (he went on to become a decorated Green Beret in Viet Nam). But on that day, which I bore witness to, Ray Sloan knocked out the future Green Beret with one punch. It was a swift and massive blow, and Jeff fell straight backwards like a felled oak. Sloan was suspended for like a month. Jeff was OK. But I digress. Where was I? 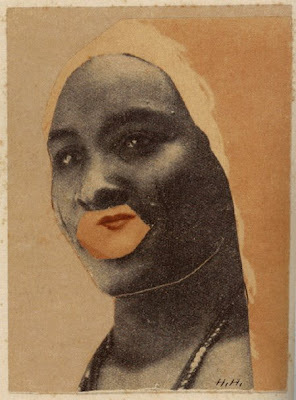 Magazine collages can be a great way to mix up photographic realities. As a kid, I was sticking big lips on photos of men with new eyes, bodies and backgrounds. 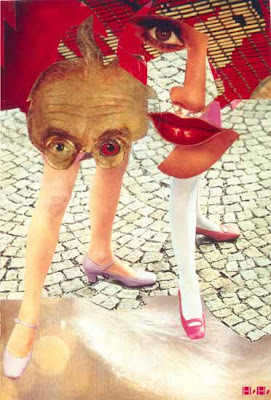 And while I did not know it at the time, I was fooling around with an exercise in surrealism. I never forgot it. 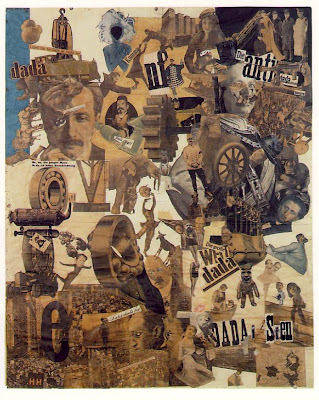 Though I was an adult before I discovered the collages of Hannah Höch, I remember being impressed that they were not only amazing but created so long ago. 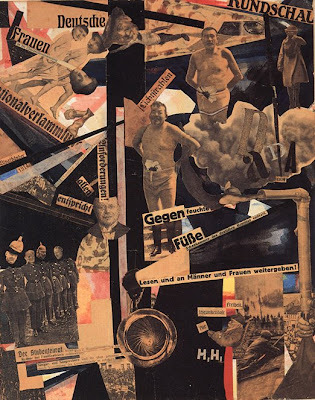 And still today, Höch remains enigmatic to me and one of my favorite artists. Collage is a great medium, I do it when I get bored with painting. 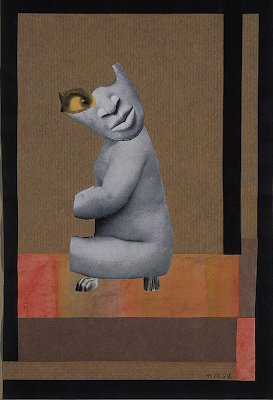 I like Grotesque and Aus der Sammlung, maybe because there's space to see what's going on in them. 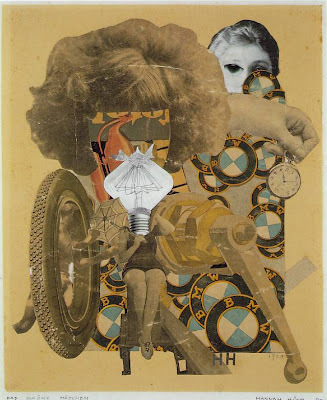 If I am recalling my art history correctly, it was Hannah Höch and Raul Hausmann who "invented" photomontage on a weekend away together around 1919. She went on to make them throughout her life. If I review my art history right, this is Hannah - hawk and raul leibtag who "invented" photo montage on the weekend together about 1919. She continued to let them in her life. Portrait Calligraphy: Don’t Stop! Don’t Stop!